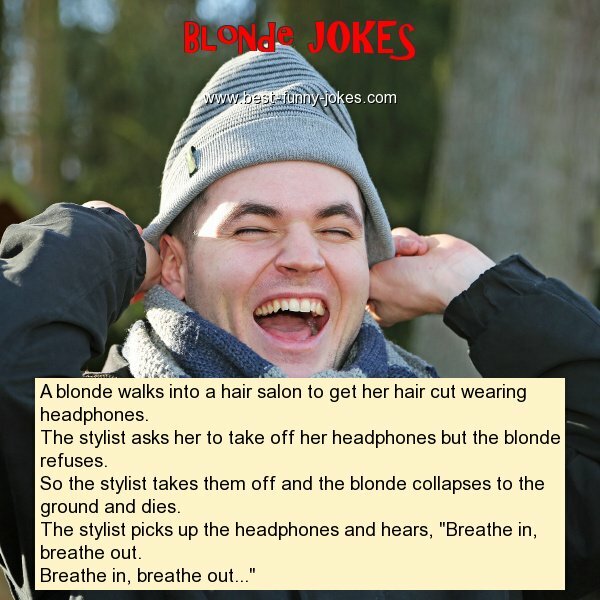 A blonde walks into a hair salon to get her hair cut wearing headphones. The stylist asks her to take off her headphones but the blonde refuses. So the stylist takes them off and the blonde collapses to the ground and dies. The stylist picks up the headphones and hears, "Breathe in, breathe out.